Whether you are communicating with co-workers, customers, family or friends, effectively delivering your message is key. Effective communication is sometimes elusive. 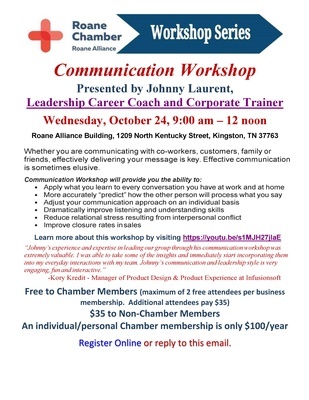 ?Johnny?s experience and expertise in leading our group through his communication workshop was extremely valuable. I was able to take some of the insights and immediately start incorporating them into my everyday interactions with my team. Johnny?s communication and leadership style is very engaging, fun and interactive. ?